It was a moment everyone had been waiting for this season. Perhaps no one more than Jesse King himself. The forward made his Roughnecks debut Friday night against the Georgia Swarm after missing the first 16 games of the 2018-19 campaign with a lower-body injury. 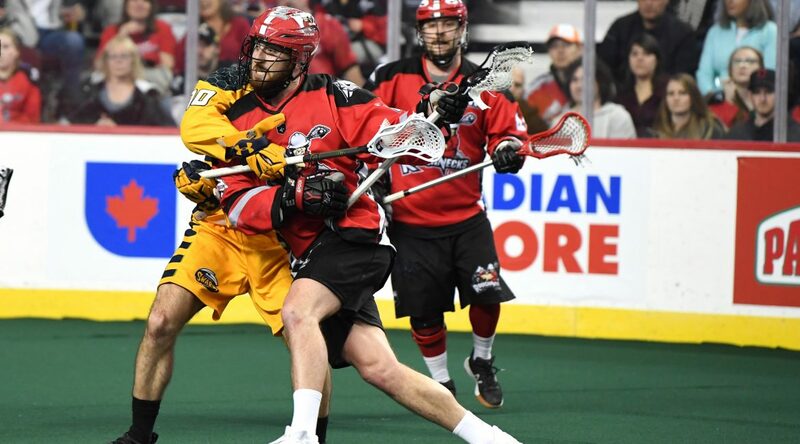 And what an entrance it was, with King having an immediate impact notching a goal and two assists in the Roughnecks 14-13 victory over the top-ranked Swarm. It was the performance King, the coaching staff, and Roughnecks fans had hoped for after a season of anticipation. “There’s always going to be nerves coming out back into your first game,” said King. “But once you get out there and find your feet a little bit the excitement kicks in, the adrenaline kicks in, and you settle in a little bit. Adding to the pressure, King made his first appearance in red against his former squad. The lefty had been acquired from the Swarm during a mid-draft trade in September in exchange for Holden Cattoni. For his teammates Saturday night, his presence was immediately noticed. For King, the focus now is settling into the lineup with one regular-season game left and playoffs around the corner. But one thing has become abundantly clear to him following his first game: Playing at the Rough House is a helluva time. “You’ve got to feed off the energy of the crowd here, it’s absolutely fantastic,” King said. “I loved it, it’s something so easy to feed off when you also have friends in the stands that are watching, family back home that’s watching, it’s really special feeling.